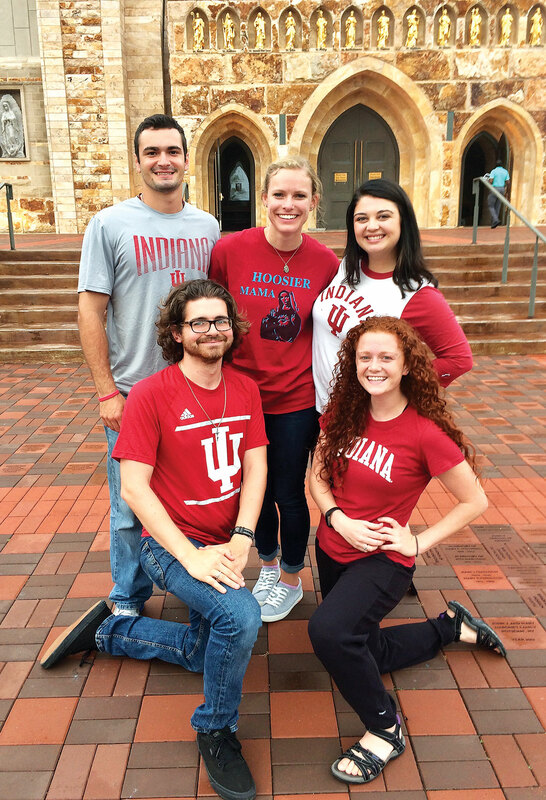 Last fall, Gabe McHaffie led four other missionaries from the Fellowship of Catholic University Students (FOCUS) for the first time onto the campus of Indiana University (IU) in Bloomington to help bring its 49,000 students closer to Christ and the Church. It was a mission that was years in the making for 25-year-old McHaffie. In 2010, McHaffie was a high school senior in Carmel, Ind., who felt that God was calling him to be a student at IU. He was confused by this call, though, because his other siblings had attended a Catholic school—Franciscan University of Steubenville in Steubenville, Ohio. That call was confirmed for him when he attended the fifth annual Indiana Catholic Men’s Conference in Indianapolis in 2010. One of the speakers at the conference was Curtis Martin, FOCUS’ founder and chief executive officer. Martin spoke about FOCUS during a presentation. The high school senior spoke to Martin during a break at the conference. Martin founded FOCUS 20 years ago, sending two missionaries to one college campus. Today, the Genesee, Colo.‑based organization has 660 missionaries on 137 campuses across the U.S. and in Austria and England. In addition to IU, there are FOCUS missionaries serving in the archdiocese at DePauw University in Greencastle and Indiana University-Purdue University Indianapolis. Although FOCUS wasn’t on campus while McHaffie was an undergraduate, he was involved in the St. Paul Catholic Center in Bloomington, where campus ministry efforts at IU are centered. He said he and other students tried “mimicking what the missionaries do,” especially leading small group Bible studies. In 2013, St. Paul received a three‑year grant that allowed it to work with The Evangelical Catholic, based in Madison, Wis., which helped it form Bible study groups and one-on-one discipleship training that helps students grow in their faith and apply it to their daily lives. It was up to St. Paul staff members to oversee this effort, though, and Dominican Father John Meany, its pastor, said that responsibility limited the growth of the outreach to IU students. There has been a marked growth in this academic year in the efforts begun under The Evangelical Catholic. 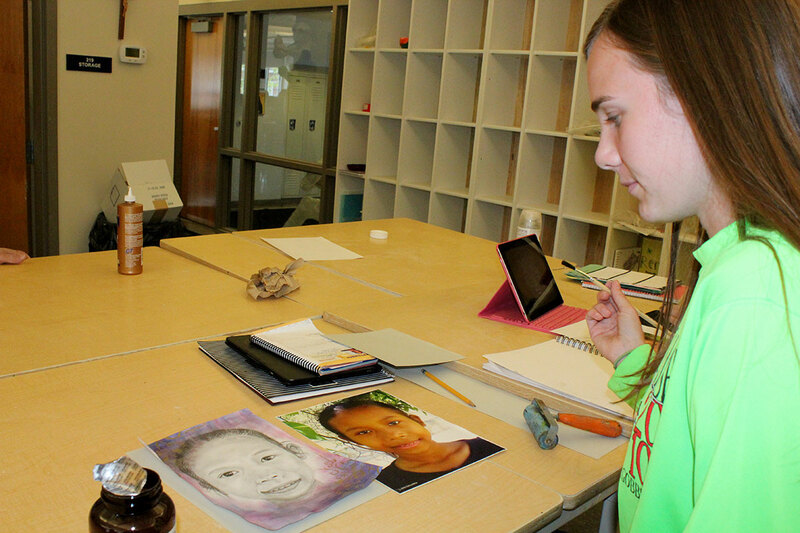 Last year, there were 12 student-led small group Bible studies. This year, there are 43. Last year, there were 10 students in discipleship training. This year, there are 52. After graduating from IU in 2015, he served as a FOCUS missionary for a year at the University of Virginia in Charlottesville, Va., and for a year at the University of Miami in Miami. As the possibility of FOCUS coming to IU emerged, however, McHaffie was approached about coming back to Bloomington. Although the growth of those involved in campus ministry at IU has been significant, the overall numbers are still small compared to IU’s overall enrollment. If one person embraces the faith and is brought closer to the Church through the efforts of missionaries, that person can then reach out and do the same with three other people. Each of those three could have the same effect on three more, and so on. The hope of McHaffie and his fellow missionaries, though, remains undimmed.